HubSpot CRM has everything you need to organize, track, and nurture your leads and customers. 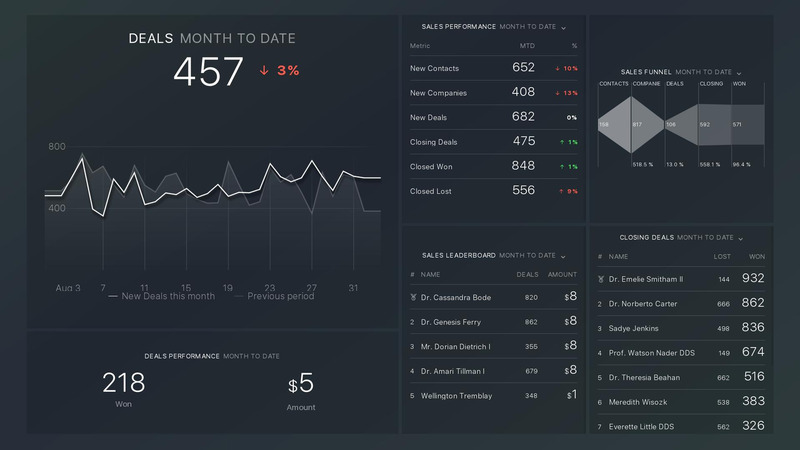 Connect HubSpot CRM with Databox’s action-oriented analytics platform to generate a quick overview of sales, deals, leads and more, wherever you are. Navigate to "Data Manager" in the top menu and select "Data Sources" in the submenu. Find the HubSpot CRM logotype and click "Connect". Login to your HubSpot CRM portal when the popup window appears. That's it! 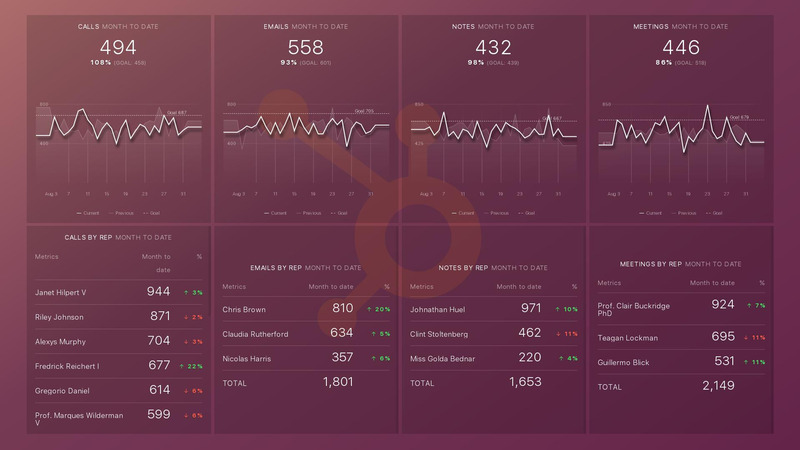 You have successfully connected HubSpot CRM with Databox! Choose HubSpot CRM in the "Used data sources" drop down menu. If you have multiple HubSpot CRM accounts connected, select the one you want to use to populate the databoard in the drop down menu. This HubSpot CRM templates highlights deal information and allows you to track and grow your sales pipelines. The HubSpot Sales Activity template tracks every stage of your sales funnel and watches for leaks. You can see top-of-the-funnel activity for each sales rep. But that's not all! Follow this link to access even more of our HubSpot CRM templates. 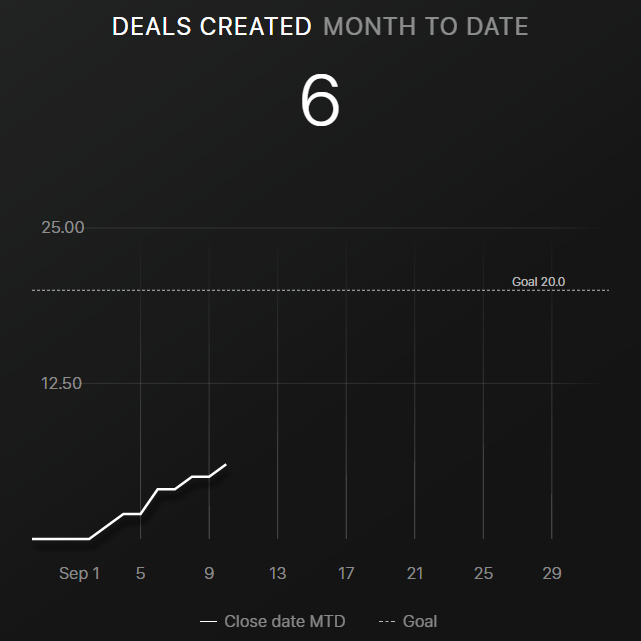 Shows the total number of deals created in the specified date range. 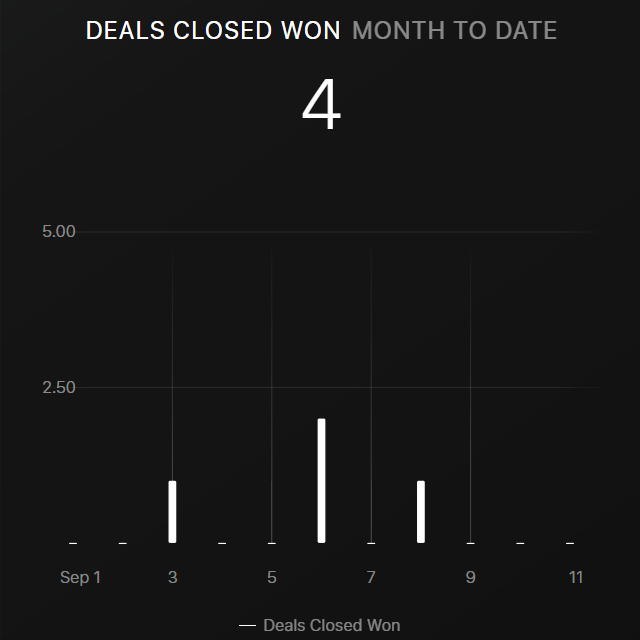 Shows the total number of deals closed & won during the specified date range. 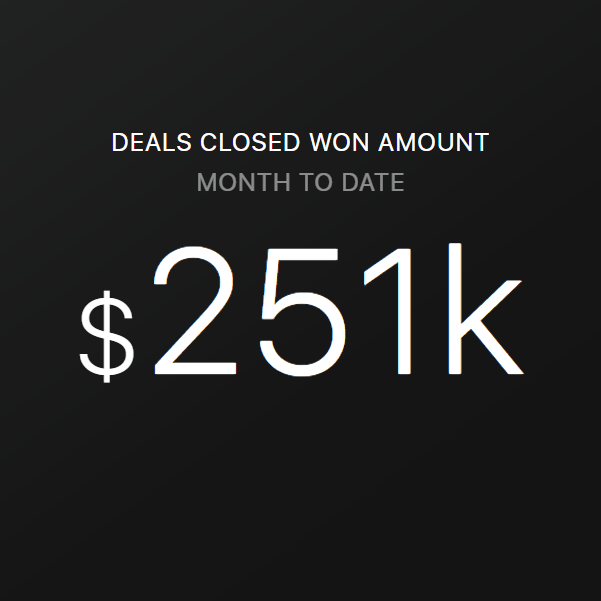 Shows the total revenue from deals closed & won during the specified date range. 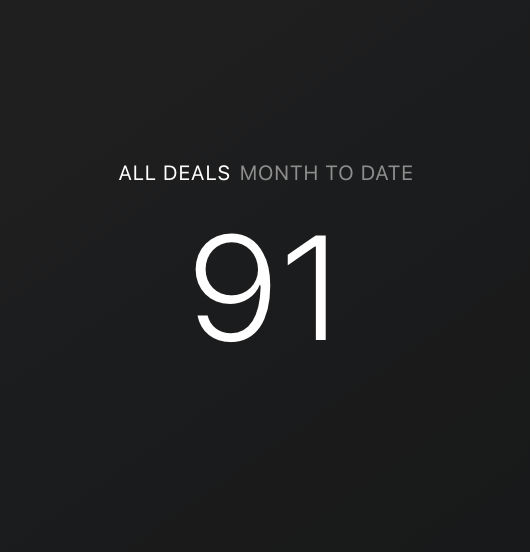 Shows the total number of deals for specified date range. 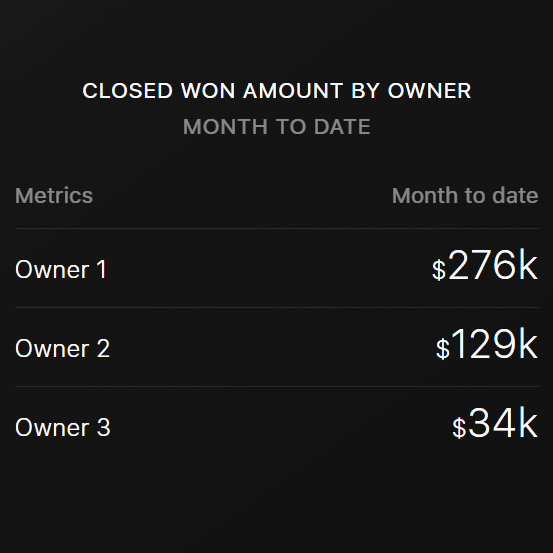 Shows the sum of all closed won deal revenues during specified date range by owner. 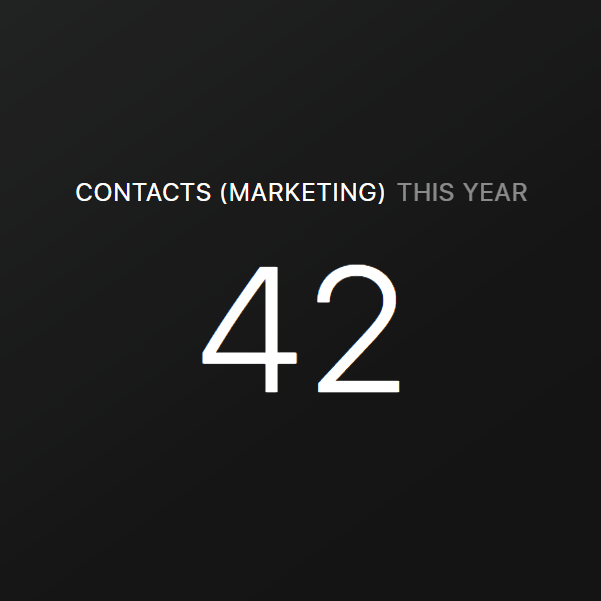 Shows the number of new contacts created during the specified date range. In order to make the HubSpot CRM connector as robust as possible, we have created the Query Builder. This allows you to access even more metrics than we offer by default and lets you add additional date ranges. To learn more about the HubSpot CRM Query Builder, read this article.